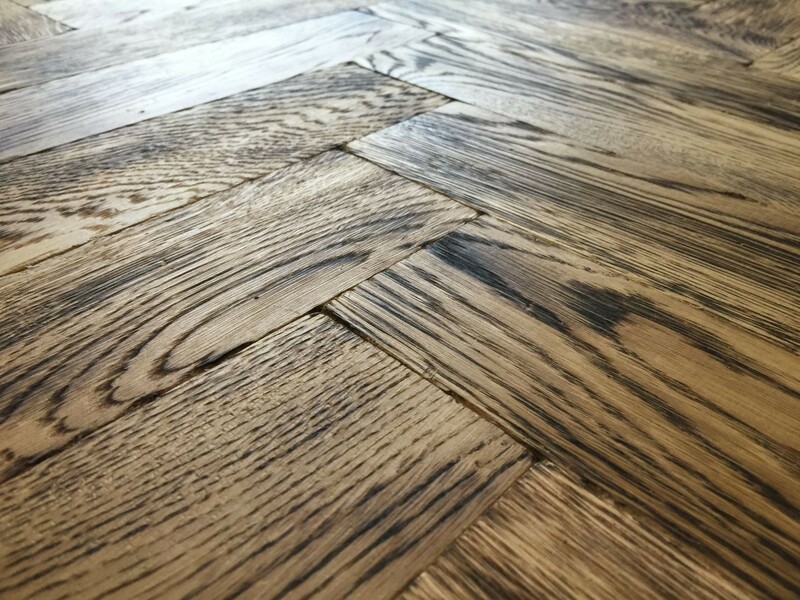 Oak Flooring Suppliers online shop located in Bristol provides you with a varied range of quality-made oak parquet blocks for affordable prices. Our collection of products is suitable to use in commercial and residential interiors, which allows our Clients to choose the product they need. What sizes of parquet blocks do we stock? Thanks to our devotion to quality and details we stock solid oak parquet floorboards of different thickness (e.g. 16mm or 22mm), length (280mm) and width (70mm). If you require custom dimensions – you can always order a particular size of parquet blocks directly from the manufacturer with whom we get our supplies. Most popular grades include rustic and prime – either of the two can be tumbled, which results in a fashionable aged design. Tumbled parquet blocks are available with an oiled finish or as unfinished We make sure that square edge parquet blocks arrive to the Clients’ unfinished because then it is possible to do the sanding laquering, or gap filling at the destination place. Is it possible to feature our parquet blocks with underfloor heating? Yes, our collection of oak parquet blocks allows you to combine both elegance and functionality. Some types of parquet blocks are strenghtened and manufactured in a way to make the fitting and working of the underfloor heating.